It’s regularly $35 but until Sunday, September 15th it is just $30! 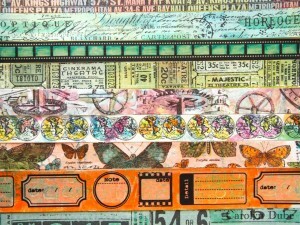 I had a drawerful of washi tapes that I rarely used. I was cleaning out my studio and I realized I bought them because I loved them but I wasn’t using them. Why? They weren’t exactly me so I decided to change that! Now I am using that tape. And I didn’t stop there. I eyed the packing tape on my shelf. I started upcycling it. That led to the artist tape ( like a white masking tape). 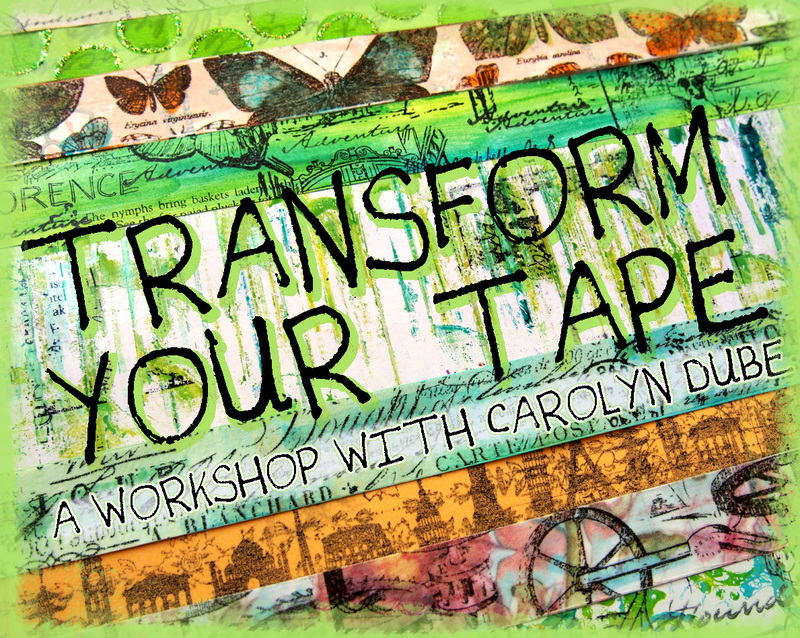 And then this workshop, Transform Your Tape! There’s a giveaway for a spot in this workshop! Just leave a comment here before Sunday, Sept. 15th! In the videos I explain not only how to make these tapes but I’ll explain why I make the choices I make. I will show you my entire process, including my Oops and how I handle them. You’ll see when my tape hit that ugly stage and how that actually helped me turn that tape from the one I liked the least into my favorite of all time! 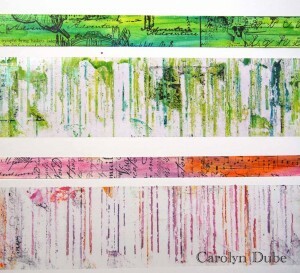 Clear packing tape will be turned into colorful works of art! 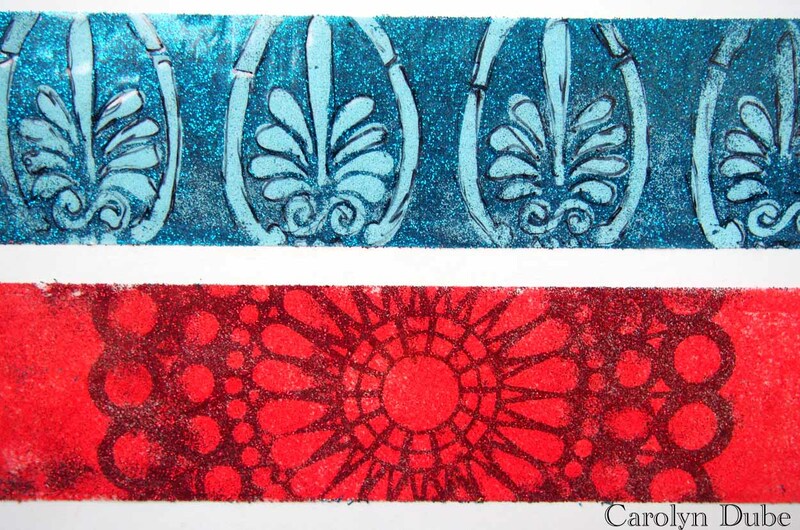 You will work with patterned washi tape enhancing the pattern by adding layers of color and more pattern! Yes, more pattern! 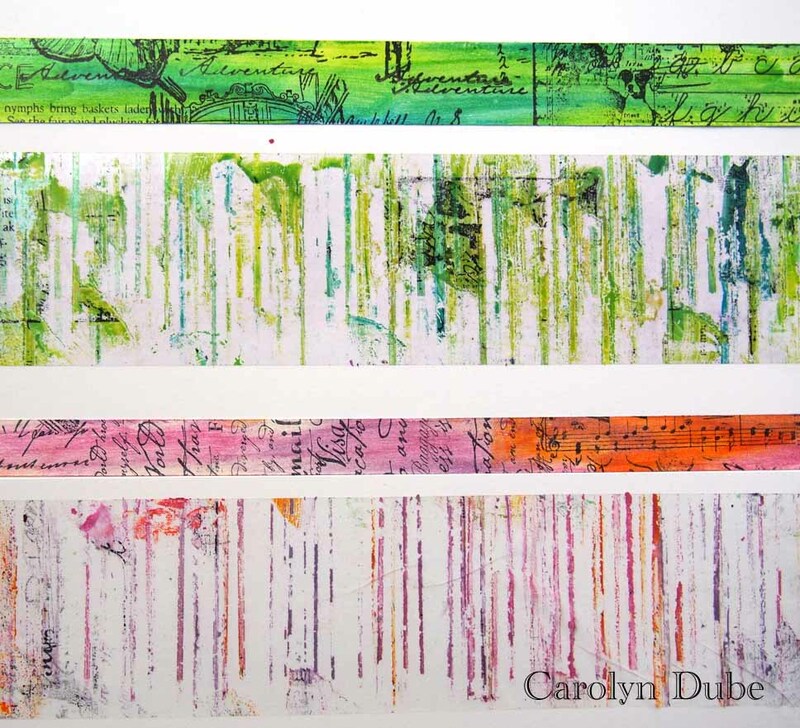 You will take plain white tape and create rich colorful tape filled with images! All in your favorite colors because you’ll be customizing it just the way you want it! Who can do this? Anyone! No prior skills are needed to get started! 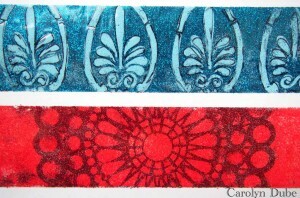 For all you experienced creatives, I will show you ways to use your existing supplies like you never imagined! 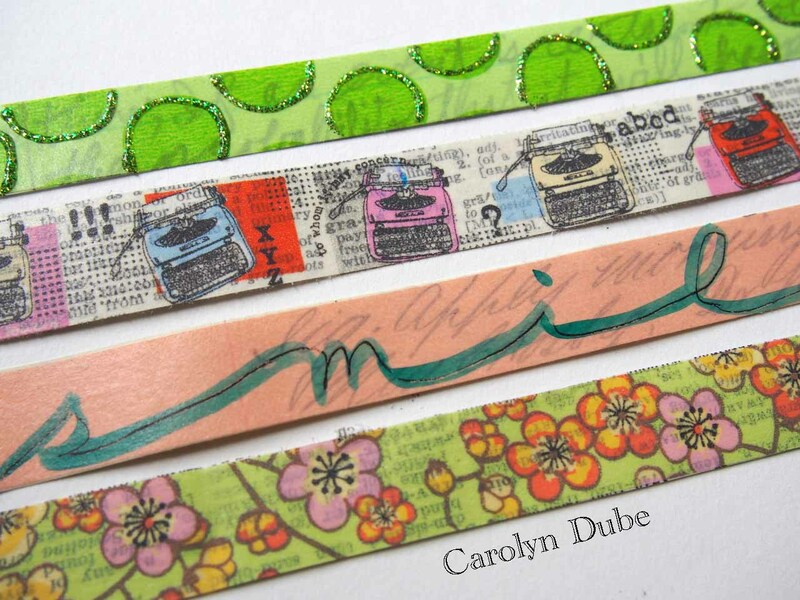 9 videos showing how to alter and customize 3 different kinds of tapes: washi, artist tape, and packing tape. 1 supply video that goes into detail about the supplies but you probably already have many or all of the supplies. The workshop goes live on Monday, Sept. 16th. From that day on you will have immediate access to all the videos to watch at your leisure! The workshop will be open for at least a year! The supplies needed for the entire workshop are listed below. I encourage you to use what you have before buying! Feel free to substitute items on my list with things you have or that you want to experiment with on your tape! Copic Markers (or any alcohol based marker) in your favorite colors and a Copic blending pen. Sounds like fun. I’d love to win a spot. Wow! Your tape looks amazing ! Thanks for the chance to take this class! This sounds like such fun. Plus it would make good use of things that are sitting around the studio, not being used to the max. It would be a thrill to win a spot in the class. Looks like fun! A free spot would be lovely since it’s not in the budget right now. Thanks! As usual I love your work. It’s difficult for me to buy now . Perhaps I will be lucky! Very intriguing looking workshop. 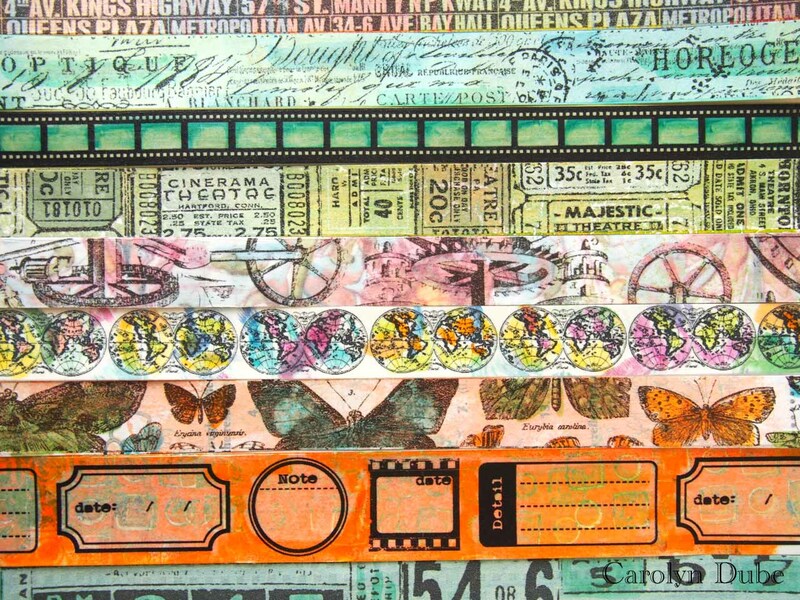 Washi tape seems to be the thing to have. But i love what i see you did with it. It would be so AWESOME to win a spot in your class. love this idea…you rock it! Can’t wait to see you and Maria! Thanks Ellen- can’t wait until Oct.! I’ve been watching your videos for a while and I know I will really enjoy taking a class from you to create my own paper – what a concept! These are the most BEAUTIFUL tapes!!! Thanks for a chance to win. I have just discovered your and am loving it. The process, the colors, the life! you bring to it all. I’m guilty, have a drawer full and never use either. This class might just be the one for me. Thanks! love, love, love your elephant pages and all your videos! they are so fun and easy to watch! 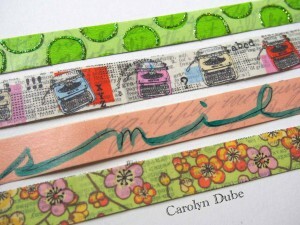 I’ve never made my own washi tape yet….these handmade tapes are awesome!! Love the video…love your creativity. I would love a chance to win a spot in your class! How sad I just found you so probably too late to win a chance to make some awesome tapes. I too have a lot of washi and don’t use it enough. I loved the ones you have done and just started following you. You really inspire me. Thanks for what you do.